and working proactively to eliminate them as much as possible. • Lower investment in inventories. • Reduction in carrying and handling costs of inventories. • Reduction in set-up time and total manufacturing costs. • Reduction in wastes and spoilage. with a local branch office. The most important reason being ECONOMICS. USD 1.07 every time you go up to a tellers window !!! Part of the DNS name space showing the division into zones. 2. The browser asks DNS for the IP address of www.w3.org. 5. 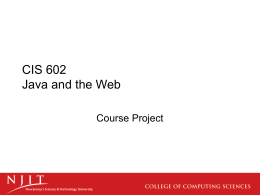 It then sends a GET /hypertext/topics.html command. 7. The TCP connection is released. 8. 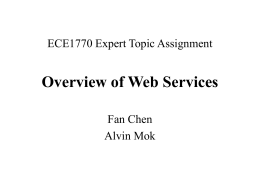 The browser displays all the text in topics.html. 9. The browser fetches and displays all images in topics.html. • You must be aware of the differences! – It is your job to ensure your Objects can be serialised! by another chunk of software? • Event processing in DCOM. 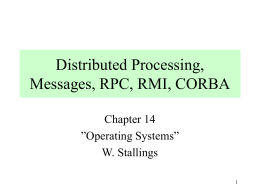 in a distributed heterogeneous environment. Diverse OS – Unix, Windows, MacOS etc. 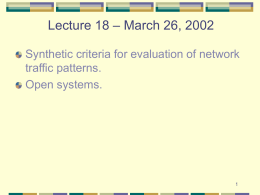 Diverse Network – TCP/IP, Ethernet, ATM, etc. 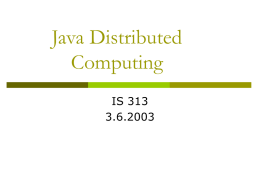 programmed in C++, JAVA, COBOL etc. 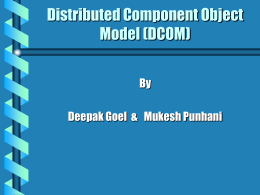  Middleware to help development of distributed object systems. 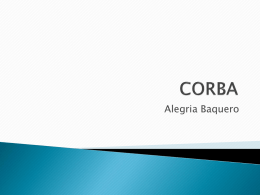  What does CORBA do? – A consortium of over 700 companies. 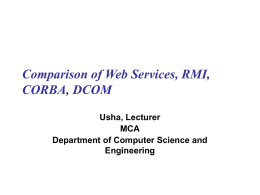 deployment of applications in distributed heterogeneous environments. 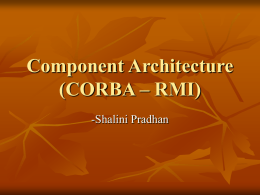  Where is CORBA used? 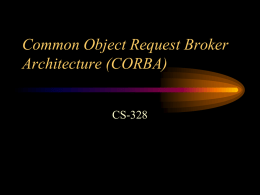  How does CORBA work? language but maps to all of the popular programming languages. reference that the target object is remote, the client can not. 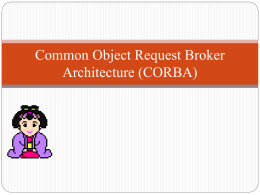 • Common Object Request Broker Architecture. An IDL compiler generates stubs and skeletons. clients and servers that require it.